For the first time – 23 months after the UK triggered the article 50 negotiations to begin the process of leaving the European Union – Theresa May acknowledged that it might be necessary to delay Brexit day. Reportedly under pressure from a number of the Remainers in her cabinet, keen to emphasise her own opposition to a delay, but also hoping to push hard-line Brexiteers towards support of her deal, the prime minister conceded that an extension of the two-year article 50 period beyond March 29 might be necessary. Missing from the discussion in the House of Commons was any reference to what say the other member states – the EU27 – would have in the matter. Such an omission is typical of what has gone on in the UK in the past few years. Much of the debate about the negotiations and the UK’s future relationship with the EU has proceeded without any reference to the position of the EU27, still less recognition of their interests, aims or strategy. An extension to article 50 could, however, disrupt the UK’s solipsism. If it looks like the UK is heading down this course, loose talk about the desirability of extending the negotiations will confront a hard reality: the UK cannot unilaterally decide on an extension to the negotiations. London would have to make a proposal, to which the EU27 would have to agree – with unanimous consent. Let’s assume that May fails again to get her deal through the UK parliament and that MPs vote “no deal” off the table in mid-March when given the option. She then decides to ask the EU for an extension. This would already be a difficult move for the prime minister, who has reiterated – reportedly 108 times – that the UK will leave the EU on 29 March. The EU27’s response to such a request would depend on the circumstances. Generally positive comments on the issue have come from the president of the European Council, Donald Tusk, who said he now regarded an extension as a “rational solution”, and president of the European Commission, Jean-Claude Juncker, who said a request from the UK would be welcomed. But as the French president, Emmanuel Macron, said on February 27, the reason would need to be “clear”. It’s unlikely, for example, that the EU27 would agree to an extension in order to renegotiate the EU-UK withdrawal agreement, or the complicated issue of the Irirhs backstop. They consider both issues closed. They would also want to avoid repeated requests from the UK. The EU’s first preference since the referendum has for been for a change of mind in the UK and for the country to remain in the EU. If that isn’t possible, the EU wants an orderly departure. It regards “no deal” as a disaster, even if the EU27 stand to be less badly hit than the UK. It’s unlikely, however, that the EU27 would give their consent to just any request from London. They see no evidence that May has been able to make any progress since the withdrawal agreement was agreed in late November 2018, and they have little confidence in her ability to secure a majority for her deal at Westminster. The prime minister told MPs that any extension would have to be short. She would be subject to intense political pressures from Brexiteers in her party, sections of the press, and public opinion, which polls suggest would favour no more than three months. May would also want to avoid UK participation in elections to the European parliament. She said that people would find it strange for a country that is about to leave the EU to vote in the elections. Since the elections are scheduled for 23-26 May, that would allow an extension of just under two months. Or, if the aim is for any extension to finish before the members of the European parliament (MEPs) take up their seats on July 1, that could allow for an extension of three months. Though since hearings to select a new commission president – one of the new parliament’s first major tasks – will not begin until the autumn, six months might be a possibility. On the EU side, however, there is scepticism about what a short extension would achieve. Although the timing of the European elections does complicate the situation, the problem they present is not insurmountable. Even the fact that seats have been re-allocated in anticipation of the UK’s departure could be dealt with. From an EU perspective, the obligation to contribute to the EU budget beyond March 29 on the part of the UK would not be overly problematic. As part of the arrangements for the transition period built into the withdrawal agreement, the UK has already agreed that it would maintain its contributions in 2019 and 2020. Problems would arise only if an extension period went beyond 2020, since that’s when the current EU budget period ends and the EU is currently negotiating the EU budget for the seven-year period that follows. 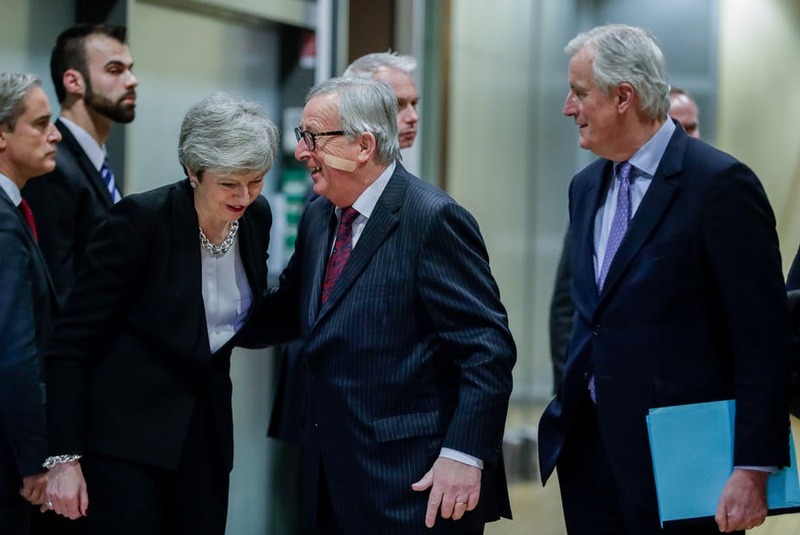 In the event, if the alternative is a no-deal Brexit with the disruption that such an outcome would entail, the EU27 may reluctantly agree to a short extension. However, it’s unlikely to do so without imposing conditions. This post originally published on The Conversation. Read the original.